Hi all! Are you enjoying your week so far? It’s been quite warm the past couple days in the South- I figure one of the last times it’ll be warm until after winter. Can you believe it’s almost November? Crazy! 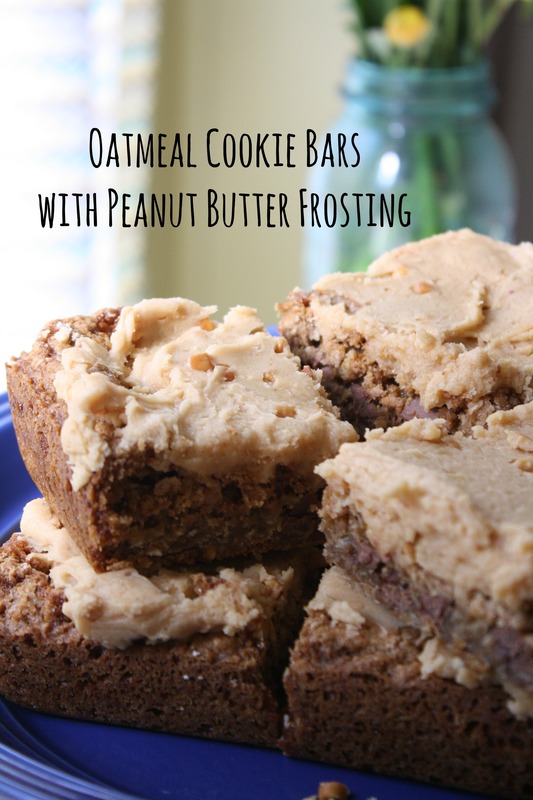 Today I want to share with you one of my new favorite desserts- Oatmeal Cookie Bars with PB Frosting. I’m on a cleanse right now, but we had part of a pan of these left over when I started it yesterday. Luke’s taken care of them for me. 😉 Even though these are sweet, chocolatey and peanut buttery, Luke loves them! Success! Mix bar ingredients together except chocolate chips. Press into a greased pan. Press chocolate chips into dough. Bake at 350 for 20 minutes. Cool. Mix frosting and frost bars. Cut into pieces and serve. Will last up to a week in a sealed container. See? Super easy and sooo yummy! 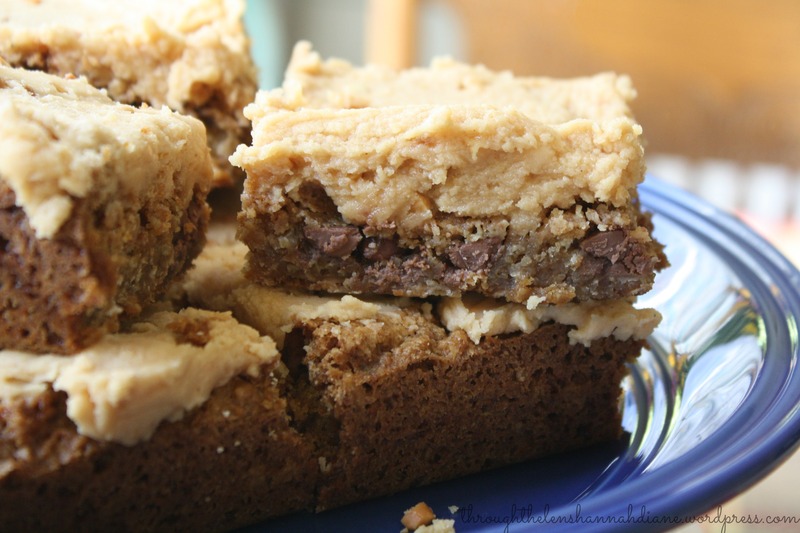 What’s your favorite peanut butter dessert right now? These look amazing! I will be making these soon. They don’t look too unhealthy either! 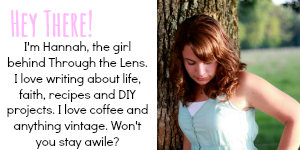 *squeal* Thanks for sharing! Chocolate and PB together are the best! Those look amazing!! I will have to try them soon! What size pan do u make these in? 9×9 13×9? a 9×9. 🙂 Hope you enjoy them!